Last week, we gathered at Orva Shoes on the Upper East Side for our annual Giving Circle. This year, we teamed up with Merrell to help raise both funds and awareness for national non-profit SheJumps. SheJumps core mission is to increase the participation of women and girls in outdoor activities. 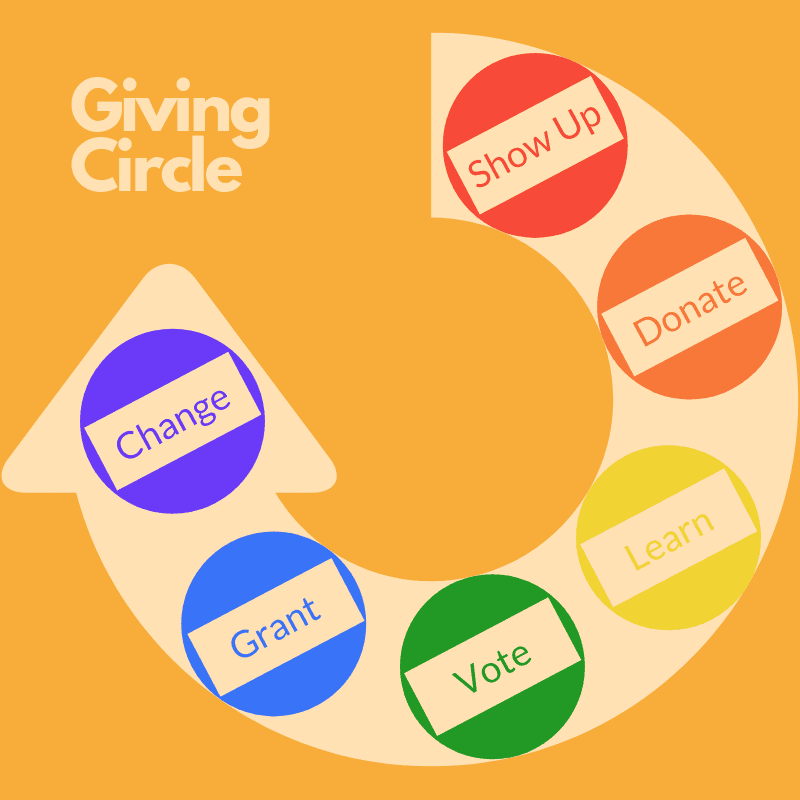 The night was facilitated as a Pop Up Giving Circle which has 6 distinct steps. We started the night with a delicious hot chocolate bar by Merrell (pictured in the header photo). We also got to try their new Arctic Grip on an extremely large ice cube! Next up, we collected the suggestion donation of $10-$20 from attendees. Tonight, 100% of the money collected would be going to SheJumps. Over the course of the night we learned about three of SheJumps key programs and then split into groups to discuss our favorites. Program 1: Get the Girls Out! 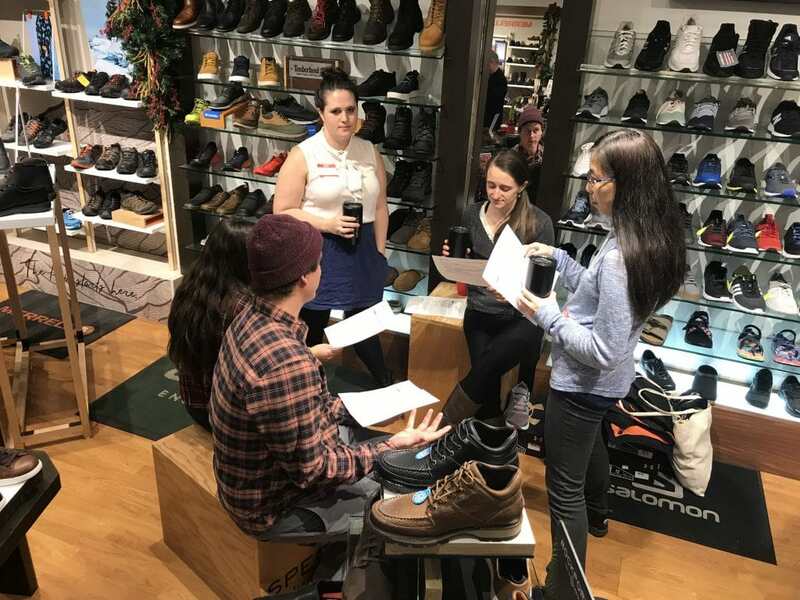 The ‘Get the Girls Out!’ Program focuses on connecting girls and women in our communities with inspiring and dedicated female outdoor enthusiasts. SheJumps’ Youth Initiatives are geared towards building life skills; empowering ownership and confidence through exposure to positive female role models, supportive communities and the outdoors . The Outdoor Education programs focus on providing technical skills for all abilities and endeavors in the outdoors. Each group decided together which program they’d most like to see the funding go towards. After everyone had a chance to vote, we awarded $320 to the SheJumps Wild Skills program. We’ll report back on how the money was used in a few months! A huge thank you to our sponsor this month: Merrell! Merrell empowers amazing outdoor lives.